PixelCons are collectible tokens featuring minimalist pixel art. It was created as a way for people to easily make collectibles within a shared ecosystem and showcase incredible art. 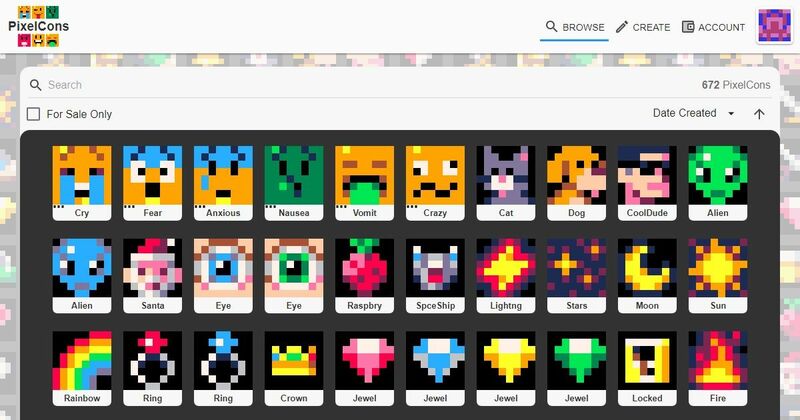 Every PixelCon is unique and it's ownership is secured on the Ethereum blockchain.